Like adults, it’s important for our kids to lead a healthy and active lifestyle. For those with disabilities, that can sometimes be a challenge. Through partnerships in past years, John Paul II Center has worked physical fitness into our curriculum in various ways. 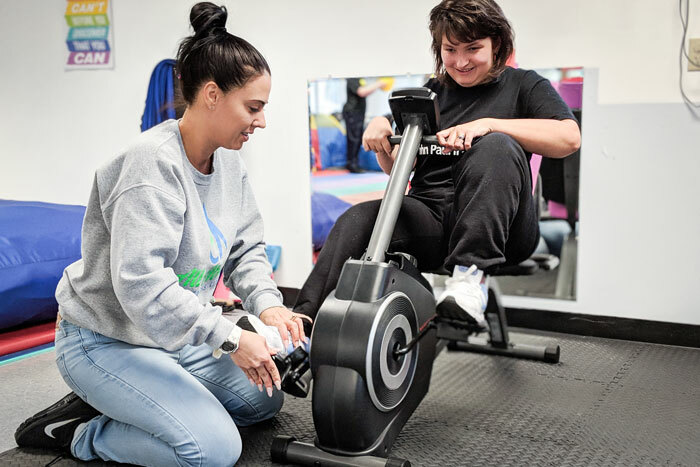 The Mission of All Abilities Fitness Center, LLC is to provide a safe and inclusive environment for those with any disability to feel comfortable and empowered to improve physical fitness, social bonds, and fulfill sensory needs in a non-judgmental secure setting. The idea driving the partnership is to improve students health through physical activity, allowing students to work on not only fitness, but motor skills, self esteem, and social skills. By improving the amount of time that students are active, it helps to prevent secondary health complications such as obesity and high blood pressure. With the program designed specifically for our school, JPII is so happy to be able to offer our students a comprehensive program such as the one All Abilities is able to provide. For more information on All Abilities, please visit their website. all-day Center Closed-Happy Memorial Day! !